In 2008, the school identified Technology as an area that we wished to develop in order to enhance the learning opportunities of the pupils. We became interested in investing in laptops that could be shared by all of the classes. During that year, we put on a very successful school musical, “Scenes from Oliver”, and the proceeds of this were put towards the purchase of laptops. 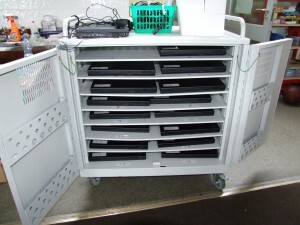 At the moment, we have 16 laptops which are housed in a laptop trolley and these are wheeled from class to class to enable the pupils to use technology for learning. The laptops have some software loaded and they are also internet-enabled via the school network. In March 2010, a couple of staff members of Ransboro NS were invited by Sligo Education Centre to visit Burnt Oak Primary School outside London to see how they were pioneering the use of mobile technology in the classroom. As a result of this visit, the school became involved in a pilot project, along with three other schools in the country, to test the use of mobile technology in Irish classrooms. 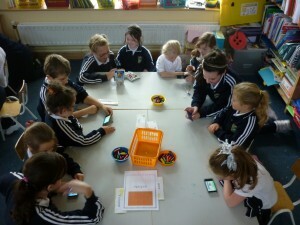 Sligo Education Centre loaned the school a class set of iPods to see how they would enhance the learning experience of the pupils in the classroom. 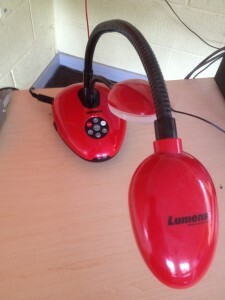 So successful was this pilot project in the school, that it was decided to invest in a class set of iPods of our own. This set of 34 iPods is now used by all classes in the school to support various areas of the curriculum. With these iPods, pupils read books, listen to podcasts, scan QR Codes, do research on the internet, practise spellings & tables and use a variety of Apps that make learning interactive and fun. In early 2013, we received the great news that the school has been awarded “Digital Schools” status. The Digital Schools Award is an initiative which recognises excellence in a school’s approach to the integration of ICT in learning and teaching. This award aims to build on the excellent progress already made by schools in ICT integration and to encourage them to strive for further progression and improvement. In order to achieve Digital Schools status, the school had to successfully indicate how it has met a range of criteria to demonstrate effective integration of ICT into the curriculum. These criteria broadly involved Leadership and Vision; ICT in the Curriculum; School ICT Culture; Professional Development; Resources and Infrastructure. An assessor from the Digital Schools organisation paid a visit to the school to view at first hand how we were integrating technology into school life. He indicated to us that he was more than happy to recommend that we should be given the award. Official confirmation of our Digital Schools status arrived at the school in early 2013. Our Digital Schools plaque is now proudly displayed in the school foyer for all to see. We are now part of a select group of only about 200 schools in the country who have achieved this award.